There are approximately 1,000 funeral homes in Australia generating $1bn revenues each year. While most are small, family-owned businesses, did you know that 270 of those locations are owned by a single corporation called InvoCare? 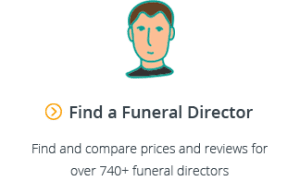 InvoCare, a public company listed on the ASX, has a staggering 31% overall share of funeral markets in which it operates – which means that if you’ve ever searched for a funeral director, you’ve probably come across one of their brands. This guide takes a look at the InvoCare brands, including White Lady Funerals, Guardian Funerals and Simplicity Funerals, and breaks down their differences and price ranges. It will also discuss the general advantages and disadvantages of selecting a corporate funeral brand over your local, family-owned funeral home. AUS $$$ White Lady Funerals is InvoCare’s premiere (and most expensive) brand. Staffed by female only funeral directors, they are easily recognisable by their all-white uniforms and white fleet of cars. For more information, see our complete Guide to White Lady Funerals. AUS $ Simplicity Funerals operates at the other end of the scale compared to White Lady Funerals. Their mission is to offer simple, practical and affordable funerals to their customers. 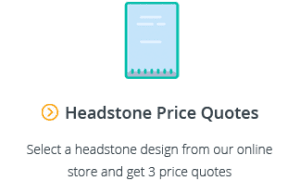 While offering simple packages allows them to keep their prices down, there is less room for customisation and personal touch. For more information, see our complete Guide to Simplicity Funerals. AUS $ Value Cremations only offers direct cremations (otherwise known as no service, no attendance cremations). This is the cheapest InvoCare service. Unlike their other brands, Value Cremations does not have physical office locations and they arrange all services over the phone. For more information on direct cremations, see our Guide to Cremations. NSW & ACT $$ Guardian Funerals offer a level of service somewhere in between Simplicity Funerals and White Lady Funerals. The network of Guardian Funerals outlets has grown throughout NSW by the acquisition of family-owned business, many of which still include their family name in their branding. VIC $$$ Le Pine is a large funeral home chain in Victoria that was acquired by InvoCare in 1994. While not quite as expensive as White Lady Funerals, they are an upper tier brand. For more information, see our complete Guide to Le Pine Funerals. VIC $$ Tuckers Funeral & Bereavement Service operate in the Geelong area, and in addition to the expected services also offer post-funeral services to families, including bereavement care and grief support. VIC $ Southern Cross Funerals are a low-cost funeral home, and are generally even cheaper than Simplicity Funerals. Their slogan is “economical prices without compromise”. QLD $$$ Metropolitan Funerals are Queensland’s largest funeral home. They pride themselves on quality, respect and personal attention. While not quite as expensive as White Lady Funerals, they are a premium funeral brand. 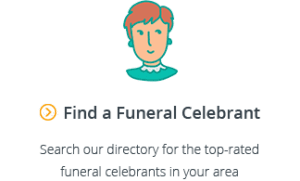 For more information, see our complete Guide to Metropolitan Funerals. QLD $$ George Hartnett Funerals is the extension of the Guardian Funerals network operating in Queensland. WA $$$ Mareena Purslowe Funerals is the equivalent brand of White Lady Funerals operating in Western Australia. WA $$ Purslowe Funerals is the extension of the Guardian Funerals network operating in Western Australia. WA $$ Chipper Funerals is a funeral home chain in Western Australia that was acquired by InvoCare in 2008. While not quite as expensive as White Lady Funerals, they are an upper tier brand. SA $$ Blackwell Funerals is the extension of the Guardian Funerals network operating in South Australia. So far, we’ve identified some of the most well known corporate funeral home brands in Australia. An important question families have to ask themselves when planning a funeral is whether they want to engage the services of a corporate funeral home brand or a local, family-owned business. Each has its own advantages and disadvantages. Corporate funeral homes are able to offer families a trusted brand, and often customers will pay a premium for that brand. However, brand name alone doesn’t guarantee that you’ll receive a higher level of service or professionalism. While corporates can ensure staff are well trained and have access to good resources, they can’t control everything. At the end of the day, your experience comes down to an individual – the funeral director that is assigned to your case – and that’s where things can vary. Finally, it’s also important to keep in mind that corporate funeral homes will probably be more motivated by profits and business decisions. On the flip side, family-owned funeral homes can offer more variable levels of service – both good and bad – so it’s important to be more discerning when making your decision to engage them. The customer reviews on our website should be able to give you a strong indication. However, provided you choose a reputable business, family-run funeral homes can have a number of advantages. Often they have been working in the community for decades with the business passed from generation to generation. This local knowledge means that they’re more likely to be able to connect with you and understand your family’s wishes. 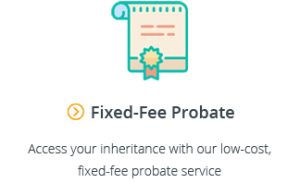 And because they’re not as driven by profits or restricted by company guidelines, they’re often able to go further beyond the standard packages and put together a more personalised service that reflects the life and wishes of your loved one.